MOSCOW, April 25. /ITAR-TASS/. The US warship USS Donald Cook with the Aegis missile defense system onboard has left the Black Sea, a Russian Defense Ministry source told ITAR-TASS on Friday. 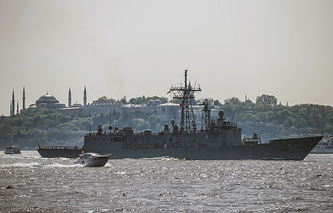 USS Donald Cook left the Black Sea on Thursday, passed through the straits and entered the Aegean Sea, the source said. Two NATO warships remain in the Black Sea. 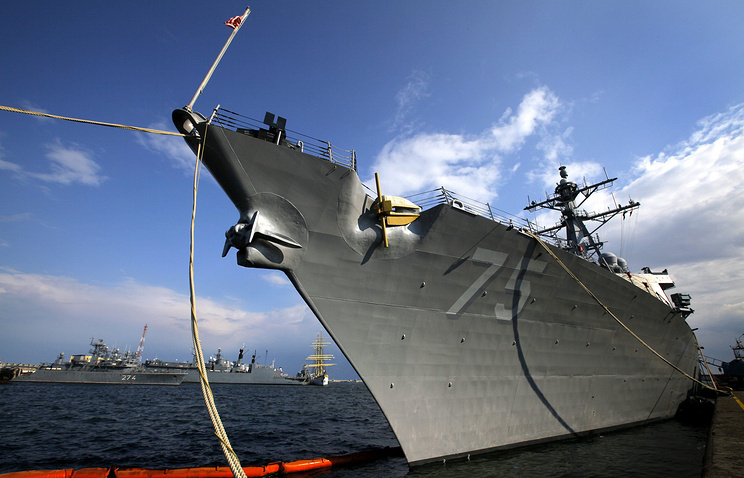 French ship Dupuy de Lome and USS Taylor entered the sea on April 10 and April 22, respectively. The US frigate is in the western part of the sea near the Romanian port of Constanta, and the French ship is in the Georgian port of Batumi. The French destroyer Dupleix, earlier planned to enter the Black Sea on April 26-27, was not expected to arrive there at the time, the official said. USS Taylor previously remained in the sea from February 5 to March 9, eleven days longer than the maximum period of 21 days set by the Montreux convention for presence of warships from other regions in the Black Sea. The overstay was officially explained by propeller repair.